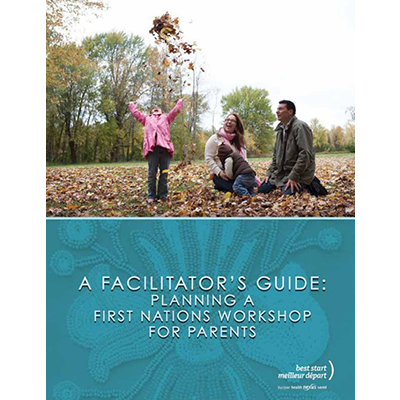 This facilitator guide is meant to assist facilitators in planning and presenting a First Nations workshop for parents and caregivers of young children. This facilitator guide is divided into several sections that take you through the planning stages up to the day of the workshop. There are culturally specific customs and protocols that can assist in developing your workshop such as approaching Elders. You can use this resource as a guide to planning your workshop or you can use it to find answers to your own specific questions.